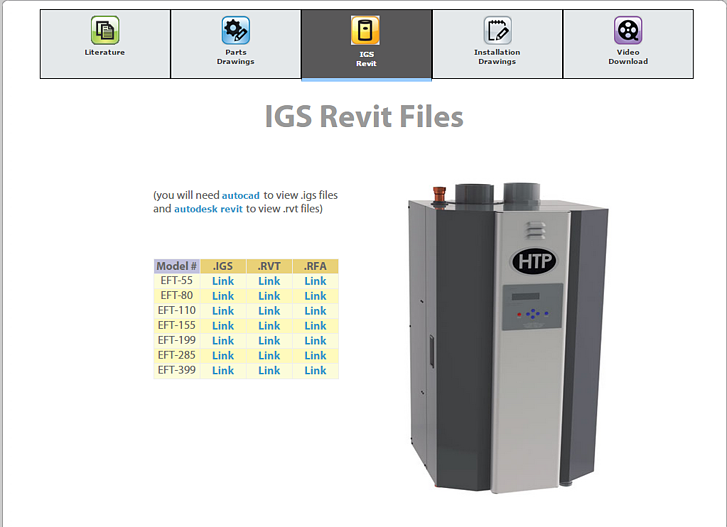 Did you know that HTP's website has IGS and Revit files available for your convenience? These Computer Aided Design files allow one to easily place our product in a job design. You can download them in the Documents & Videos section of HTP's product pages. Check out the Elite FT's IGS/Revit page below!